Blackstone’s Café has been a local staple in downtown Beaufort, SC since 1991 to meet & greet and of course eat! Enjoy Breakfast, Lunch, Coffee, Desserts & Treats upstairs, downstairs, to-go or on our beautiful pet-friendly patio! We have so many wonderful guests all through the year so for large parties or gatherings, we recommend calling ahead to reserve your special place at Blackstone’s! We aim to please so if you have any requests at the table, don’t hesitate to ask! Please call us for your catering and event needs. We would welcome an opportunity to work with you to create a most memorable event! 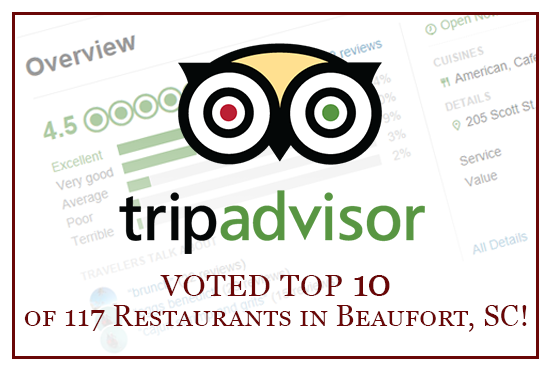 Voted Top 10 of 117 Restaurants in Beaufort! We are proud to say Blackstone’s Café has been voted consecutively as one of the TOP 10 RESTAURANTS in Beaufort, SC on Tripadvisor! A big THANK YOU goes out to all our patrons and supporters for loving Blackstone’s Café as much as we do! 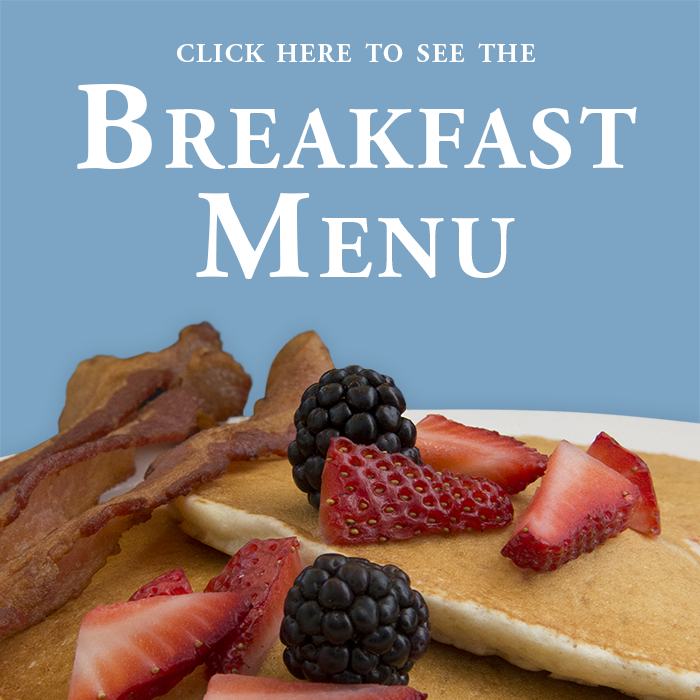 We give all our customers who signup for Blackstone’s Birthdays Free Breakfast or Lunch! An email is all we need and you’ll only hear from us on your big day! 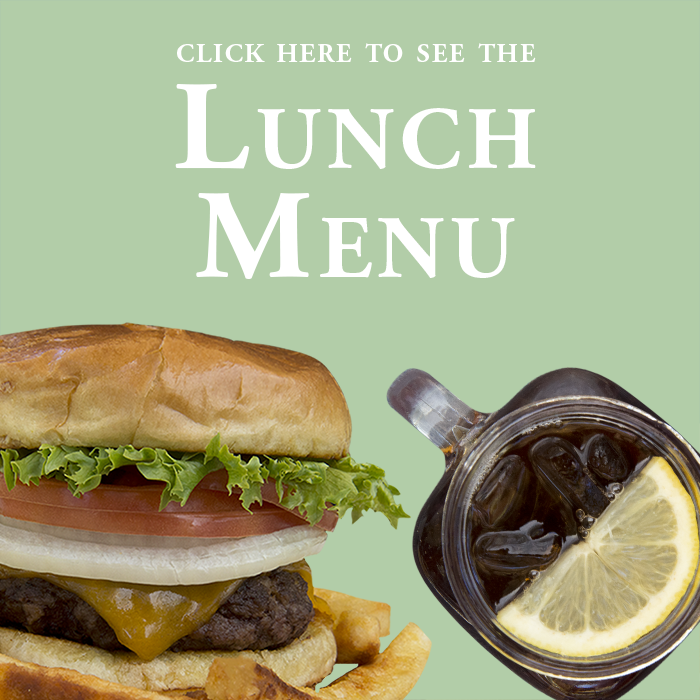 Find specials, event dates, giveaways and more on the Blackstone’s Café Facebook Page! 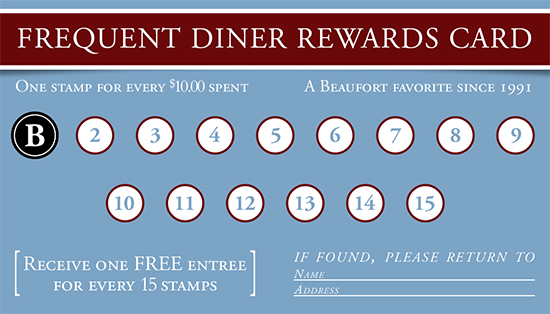 Be sure to ask for your very own Blackstone’s Cafe Frequent Diner Rewards Stamp Card and receive Free entrées just for dining at Blackstone’s! Receive 1 stamp for every $10 spent and one free entrée for every 15 stamps! Get Ready For An Even Better Blackstone’s Cafe! We’re delighted to announce some pretty fantastic upgrades to Blackstone’s Cafe! Get ready for an elevated outdoor pet-friendly patio, enjoy stunning new wall art of Beaufort’s Waterfront Park upstairs and downstairs, our beautiful new entrance, plus some incredible new Breakfast and Lunch menu items! Blackstone’s Cafe has been a top local establishment since 1991 and we’re excited to continue to grow and flourish. A big thanks goes out to all of our beloved customers and to our super-fans who visit us weekly! We hope everyone continues to enjoy dining at Blackstone’s Cafe for years to come.